Glenmary Father Les Schmidt and newly canonized St. Paul VI have one important thing in common: a true missionary spirit. Decades ago Pope Paul VI was devoted to evangelization and mission as key elements in the reform of the Catholic Church. He had chosen the name Paul, after all, because St. Paul of the New Testament tirelessly spread the Good News far and wide. The saintly pope even gave strong encouragement to Glenmary’s work. and that will lead to the sharing of wisdom.” St. John Paul II and Pope Benedict XVI amplified this, and now Pope Francis has added new emphasis. 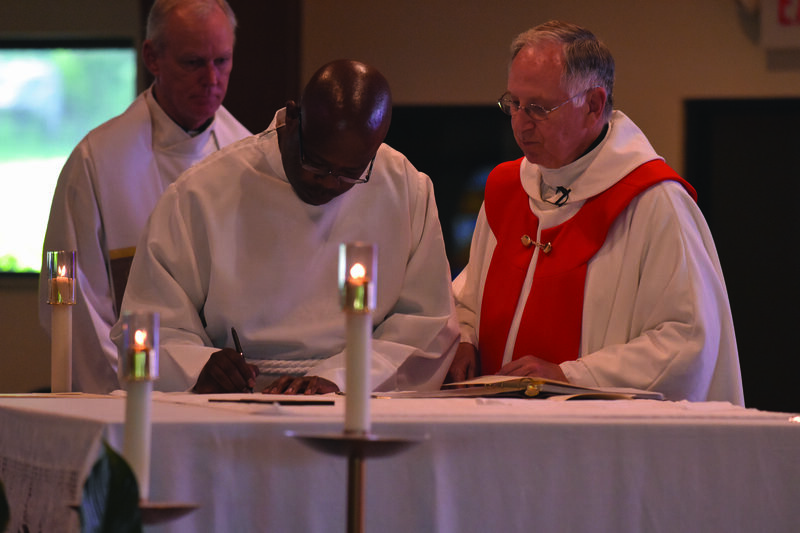 Father Les and coworkers have launched a program to bring that wisdom to parishes. Today he zips along Highway 32 in southern Ohio, heading towards Adams County, home to one of Glenmary’s first parishes, Holy Trinity. His family moved there when he was a teen in the 1950s. As he drives, this octogenarian talks, emphatically, about parishes and the mission of the Church. Restless at heart, Les, as his friends call him, has lost little steam over the decades. We’re on our way to see his family’s farm, and to learn about mission. The starting point for all missionary work is dialogue, or “encounter,” as Pope Francis famously calls it. We listen to people. We interact with them. We discover needs and opportunities to serve. With that in mind, Father Les and Adrian Dominican Sister Mary Priniski, with communications expert Leslye Colvin, have started a mission-education program, whose full name is “Gathering for Mission: Open to Transformation.” The goal is to teach diocesan leaders how to move forward in nurturing local mission. The impetus came from the 2017 Convocation of Catholic Leaders entitled “Joy of the Gospel” in Orlando, Fla. There the bishops took up how best to respond to Pope Francis’s request that the entire Church learn dialogue and missionary activity better. Learn more about Gathering for Mission at the project’s website. Gathering for Mission has an ambitious goal, the type Father Les relishes. “The bishops tell us that they’ve never been trained in dialogue,” he says. “It’s been debates, defending the faith.” That’s not to say that bishops don’t dialogue, of course. But a systematic approach to dialogue is a new thing for most. With the pope nudging the Church in this direction, the time is ripe. Here’s how it works, says Father Les, as he turns the car onto Route 247, heading into Adams County: “We set up a day of training with a local diocese.” Typically, an assistant to the local bishop calls the meeting, for pastors and other diocesan leaders. “We have practical exercises in dialogue. We actually do dialogue with them.” For many, the topic most in need of dialogue is the abuse scandals in the Church, so much in the news. At a bishop’s request, some groups dialogue about that, says Father Les. The scope of this project, as was Glenmary founder Father William Howard Bishop’s, is bigger than Appalachia and the South. 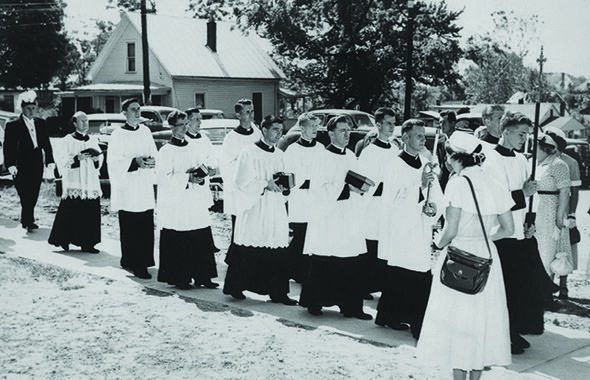 Father Bishop saw Glenmary leading mission education for the entire United States, in addition to the society’s on-the-ground work in Southern mission parishes. Father Les and his team hope to provide training in dialogue to any diocese that will host them. Gathering for Mission is a bit of a capstone project for a man who heard his call to priesthood in a Glenmary parish, who has dedicated a long life to Catholic mission.